2. Rinse halibut fillets under cool water and pat dry with paper towels. 3. 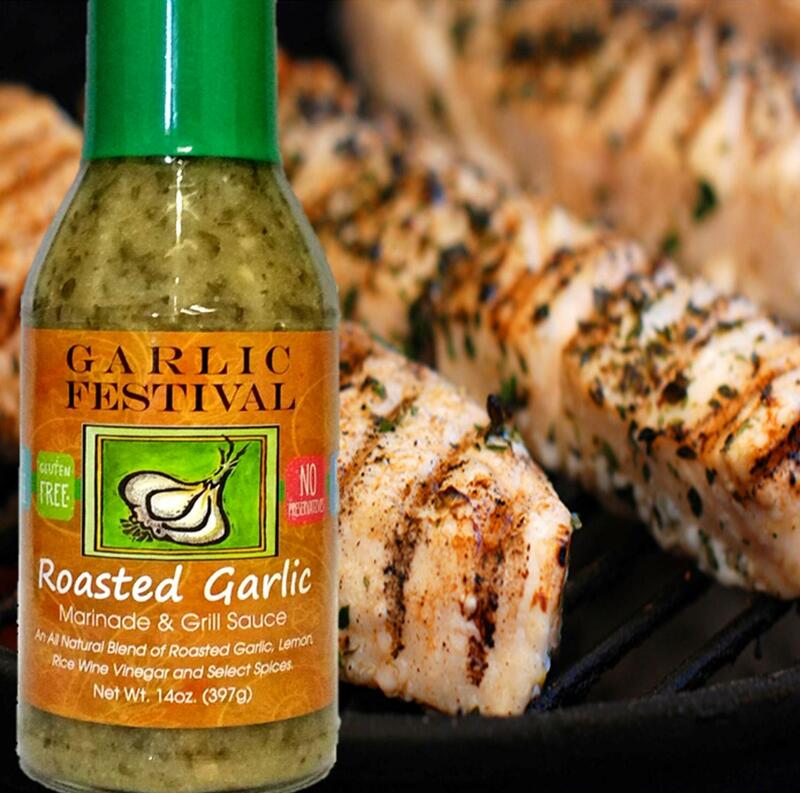 Place fillets in zip lock bag and coat with Garlic Festival Roasted Garlic Marinade. Move it around, being sure to coat it with the marinade. Allow to sit for at least 30 minutes (you can marinate fish in bag all day). 4. Cook for about 3-4 minutes on each side (may be more or less depending on thickness of fillets). Be sure not to over cook the fish as it will dry out quickly. As soon as it is opaque in the middle, remove from grill. 5. Serve with a lemon wedge (to be squeezed over the fish before eating). Goes great over lemon orzo, rice pilaf or coconut rice.